This is a trivia for the popular medical drama House MD and its British leading actor Hugh Laurie who plays Dr. Gregory House. 1. Hugh Laurie was born in, 1959 in Oxfordshire, England. 3. He stands at 6' 2½" (1.89 m). 4. His birth name is James Hugh Calum Laurie. 5. He is married and has 3 children. 6. He is famous for his perfect American accent he uses in the hit TV series House. In fact, one of the producers of House wanted an American actor to play the part (he thought it would also be logistically easier for the actor) and when he heard Laurie audition for the part, he said “That’s it! That’s what I am talking about. That’s why I want an American” The casting people told him Hugh was British but of course by then the role was already his. 8. He refused to move his family to USA since he didn’t want them to drop everything and only to have to move back again if the show was cancelled. The show will be back this fall with its 7th season. Robert Chase: I am Australian. House: You put the queen on your money. You are British. 10. It is Hugh Laurie’s first time playing a lead in an American show. 11. He is currently one of the executive producers of the show. 12. His father was a doctor. 13. House is one of the most critically acclaimed dramas and medical shows. The show has many awards and nominations, including Golden Globes and Emmys. Hugh Laurie has won the Golden Globe for Best Actor in a Drama Series twice,in 2006 and 2007. He was nominated in 2008, 2009 and 2010 as well. 14. 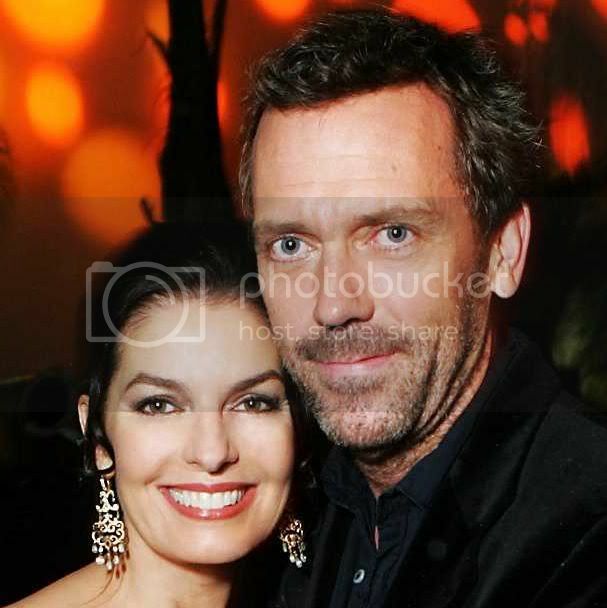 Actress Sela Ward co-starred in season 2 and played Stacy, the love of House’s life. Season 2 is also the season we find about what happened to Gregory House's leg and we get insight into why he is the man he is. 15. House is one of the most intelligent, intriguing, complex and anti-social characters to ever hit the screens. 16. In season 3, actor David Morse co-starred as Michael Tritter, the man House pissed off with his attitude and in return, he caused as much trouble as he could for House. It was the first time a man really challenged House and in many ways, pulled it off. 17. Before House, Hugh was a famous English comedian, often did projects with fellow Brit Stephen Fry. 18. He studied anthropology in college so that he would be able to row as much as he wanted without failing classes. He was in the rowing team. 19. He met Emma Thompson in college, who introduced her to Stephen Fry. 20. He has a very short cameo on the 4th Season of Friends- the finale. He plays the unfortunate passenger sitting next to Jennifer Aniston’s Rachel, who is spilling her complicated story with Ross and how and why she needs to stop the wedding. 21. He plays in a band called Band from TV, featuring James Denton and Greg Grunberg. Jesse Spencer also joins them. 22. He can actually play the piano, guitar and the harmonica. We love HOUSE and the actor..
@IIeen: ha ha. I am bananas about hugh because of house. love, love that character. :) @susan: thanks. I'm totally bananas about this actor. And his new recording of New Orleans blues is currently in post-production. Let's see who beats me to buy it!